The next 100 Mn online shoppers poised to come from the smaller cities of India and likely to have very different behaviour and needs vs the current group of shoppers. E-commerce platforms that tap into the social element are widely touted as the next big engine that will target this emerging group of users and drive e-tailing growth, from the current USD 24 Bn annually (CY18) to ~USD 90+ Bn by CY23. 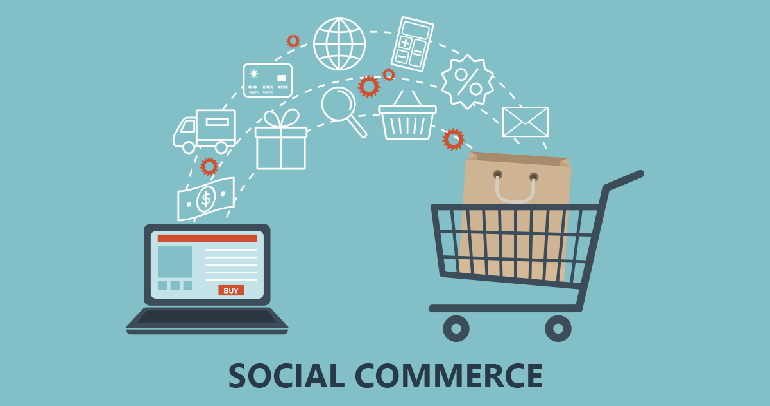 Social commerce platforms like Dealshare, Mall18 and others have emerged that tap into the above market opportunity. They are often very hyperlocal in nature and work by sharing deals over WhatsApp. RedSeer conducted a study on users of one of these platforms to understand their satisfaction. 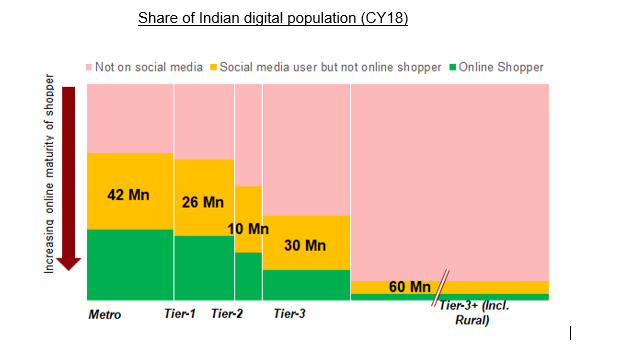 From our internet usage funnel shown below, India has ~170 Mn people who are using social media but are not online shoppers (orange zone of the chart below). There are multiple reasons why these people choose not to shop online- trust being the biggest factor. It is this trust gap that many social ecommerce players are seeking to bridge by converting the social media sellers (who are selling on platforms like WhatsApp, Instagram) into an intermediary, ‘plugging into’ their respective trust driven network of customers and then offering a vast variety of value-added services to these sellers. Thus allowing these social platforms to indirectly engage with this large and fast-growing population base which is reluctant to adopt traditional e-commerce.